​Liverpool boss Jurgen Klopp has fired a warning to FC Porto and denied any fears over pressure heading into the Champions League quarter-final and beyond. The Reds face the Portuguese champions at Anfield on Tuesday night, in a replay of last season's last 16 tie, before continuing their charge for a first ever ​Premier League title with a crucial clash against Chelsea on Sunday. 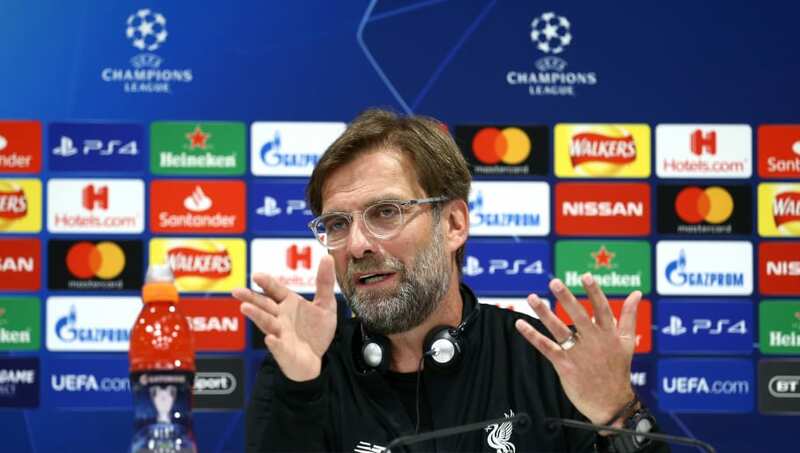 Responding to questions about the pressure that comes with having to win almost every game between now and the end of the season in the pre-match press conference, as quoted by Sky Sports, Klopp declared: "To be in the situation we are, we had to pretty much win all the games. We are used, this season, to this situation." The Merseyside club are currently two points ahead at the top of the table and, though Manchester City retain a game in hand, it has done little to dissuade the club that this is their moment. Speaking on this sentiment, the German admitted: "It's such a good time, you can feel it in this moment. We are in two big competitions, but we have to use this situation. We have not finished our development. We want to write a few proper things on the pages of this season. Klopp also spoke about the resurgence of Mohamed Salah, explaining: "The late Tottenham goal really helped. I know it was an own goal but it was forced by Mo. For me, the best way to describe this situation is the big chance he had in [Bayern] Munich. Everything was perfect and then in the last second [Niklas] Sule comes along from behind. It was also revealed that Joe Gomez would not be returning to the lineup as of yet, despite his return to training. "We want to have Joe around; not because he's 100 per cent ready but it's just nice to have him," the tactician proclaimed. "For him it's better to have more sessions - he needs that, he's not long enough in training. If we are not struggling player wise then we should not think about Joe for the next one or two weeks." Adam Lallana is also in doubt, after picking up a minor muscle injury before the victory over Southampton, and the German manager admitted that the English midfielder will probably not be ready, saying (as quoted by the ​Evening Standard): “Adam was only a little thing, we don’t have to talk about that. It kept him out for the weekend and maybe for tomorrow.